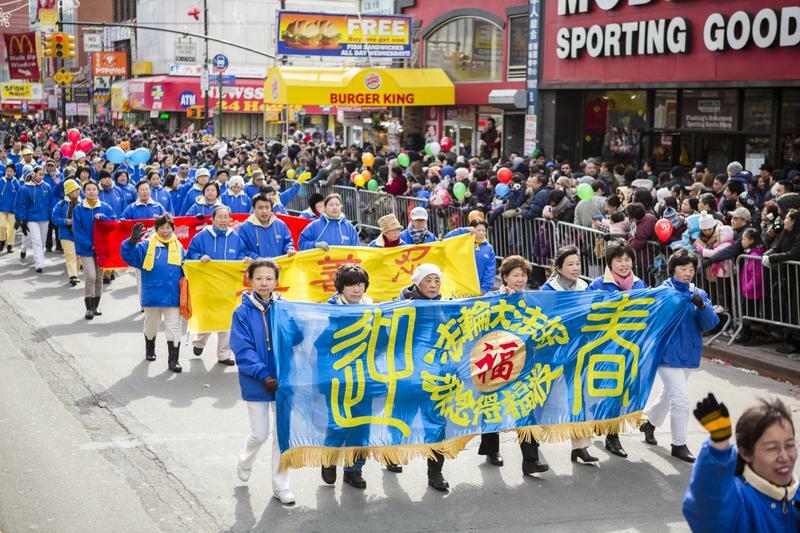 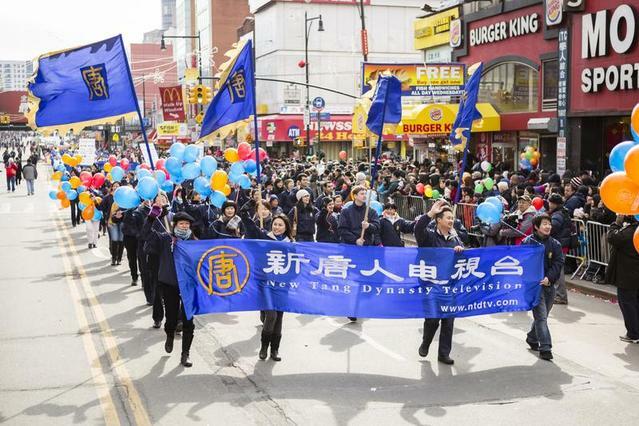 Falun Gong practitioners participated in the recent Chinese New Year parade in Flushing, Queens, an area of New York City with a predominantly Chinese population. 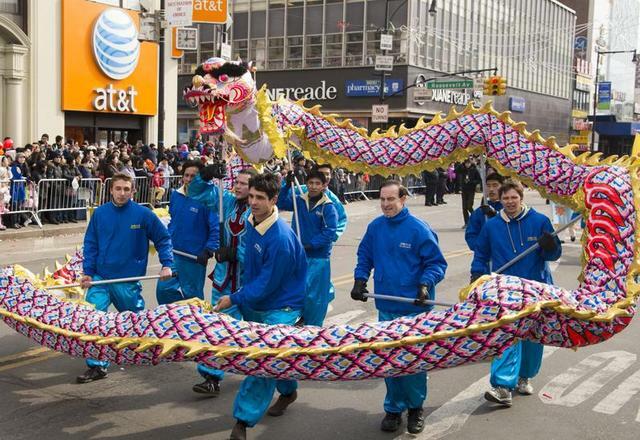 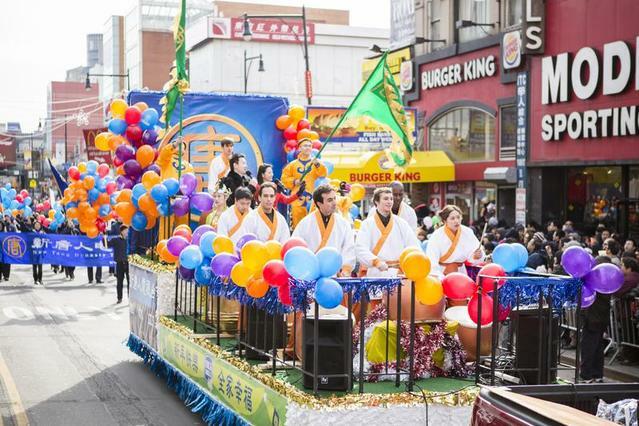 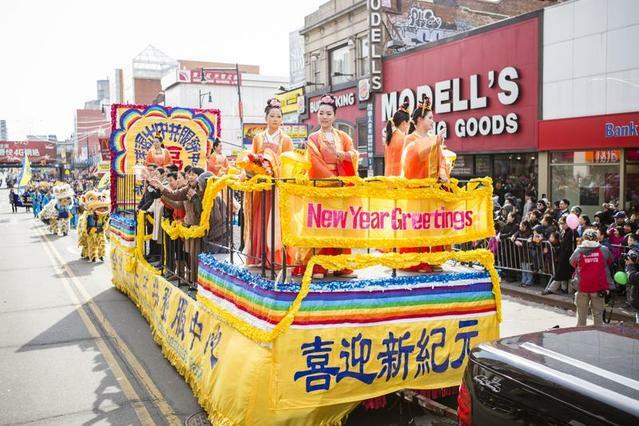 Tens of thousands of people watched the parade through the busy downtown area of Flushing under the bright sunny skies last Saturday afternoon. The Falun Gong entry consisted of the Divine Land Marching Band, a dragon dance group, a lantern group, and a group demonstrating the Falun Gong exercises. 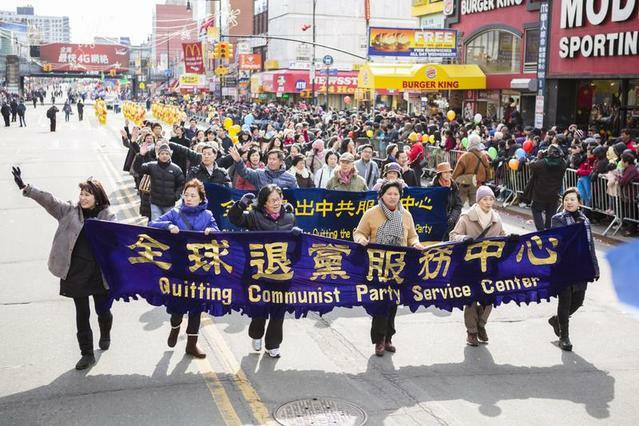 Others carried banners displaying New Year greetings for the enthusiastic crowd. 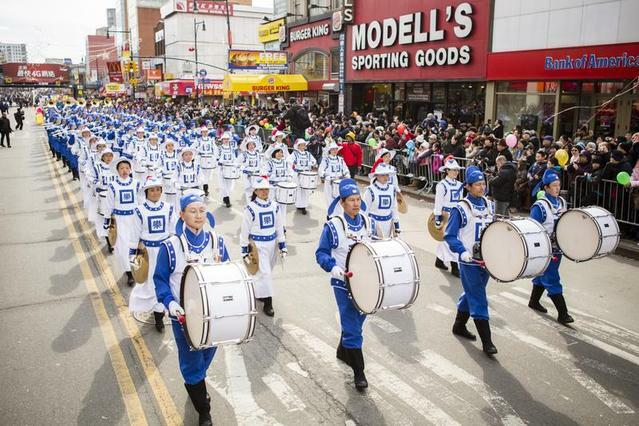 The Divine Land Marching Band is made up of more than 100 musicians. 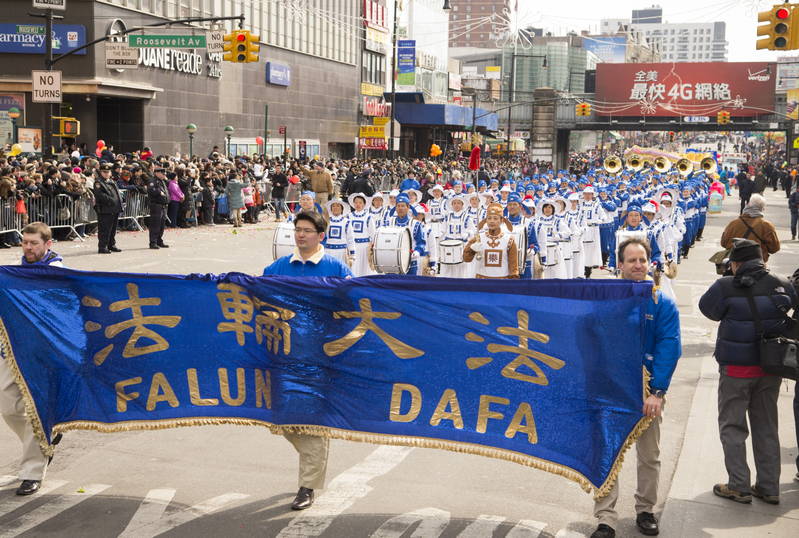 The band members are Falun Gong practitioners from various walks of life, and most of them are Chinese. Nadia, one of the Western practitioners in the band, is originally from Israel. 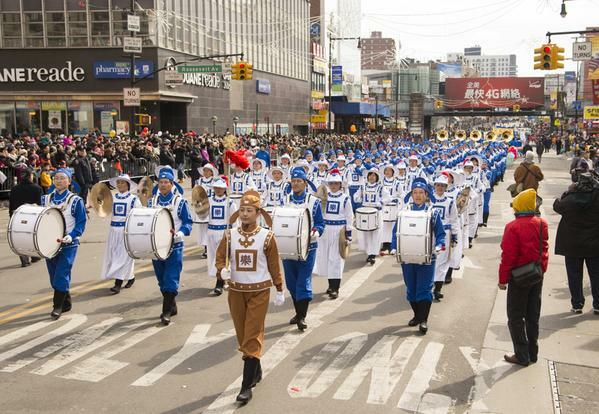 She plays trumpet. 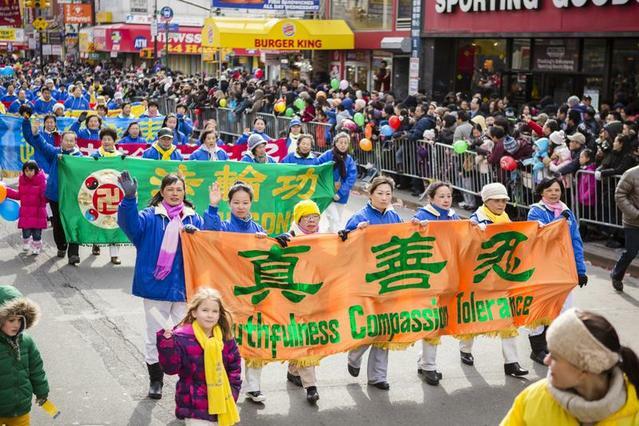 She said she had been looking for the meaning of life since she was young. She practiced yoga for five years, but she said that she experienced more noticeable improvement to her spiritual well-being once she began practising Falun Gong. 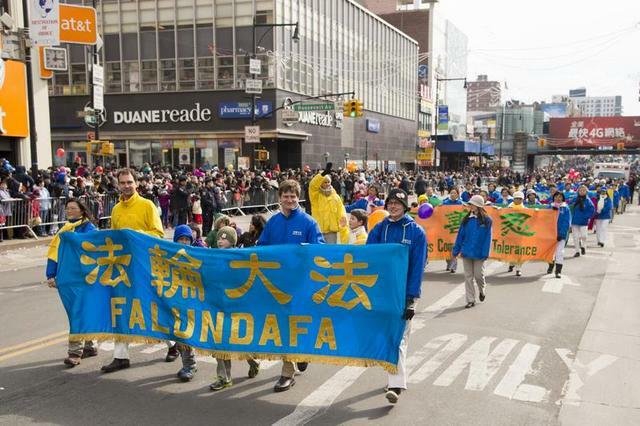 Many spectators took photos and videos of the Falun Gong parade entry. 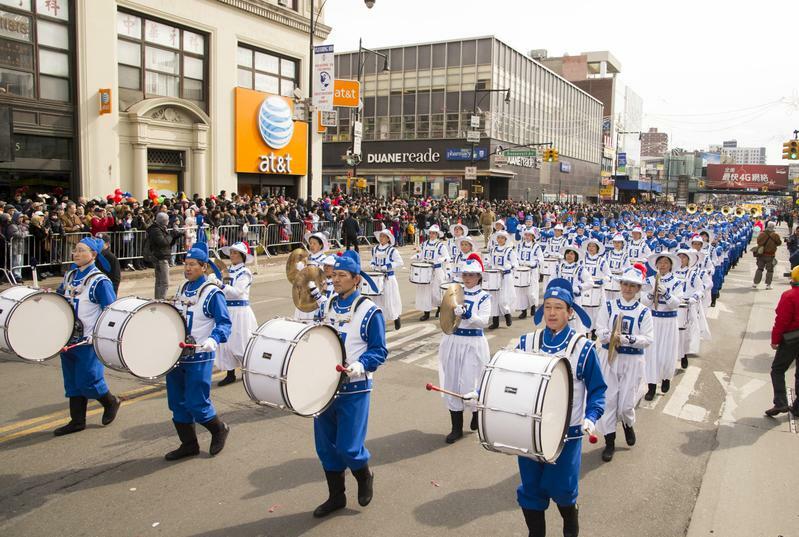 Kate, a local spectator, said that the Divine Land Marching Band was quite impressive. 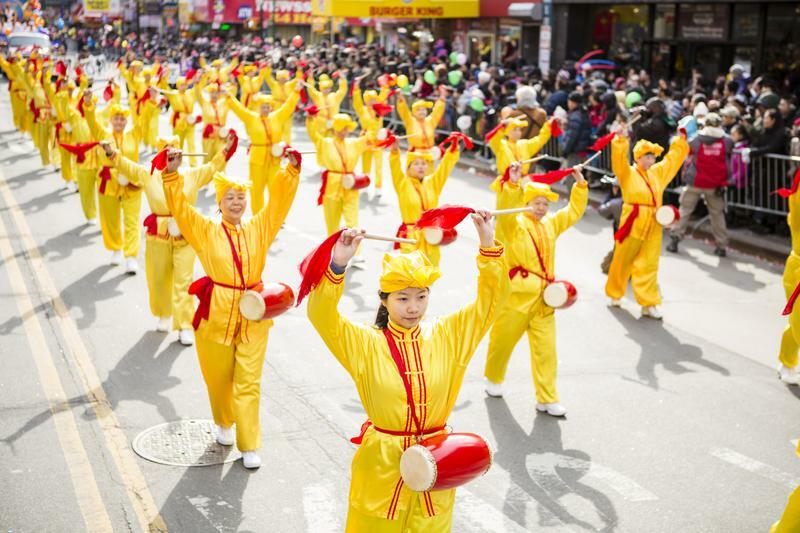 “I've learned some traditional Chinese culture from them,” she said. 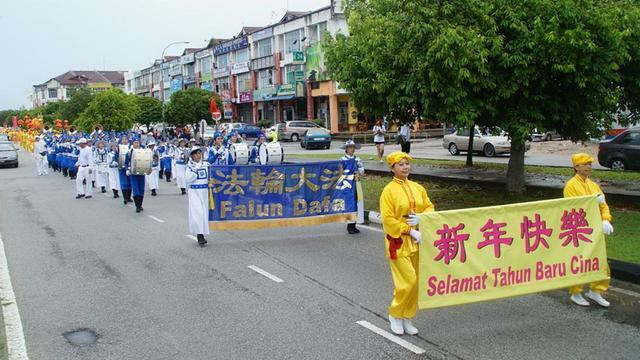 Several Chinese spectators said that the Falun Gong entry was outstanding and they were proud of it. “They manifest true Chinese culture and spirit. 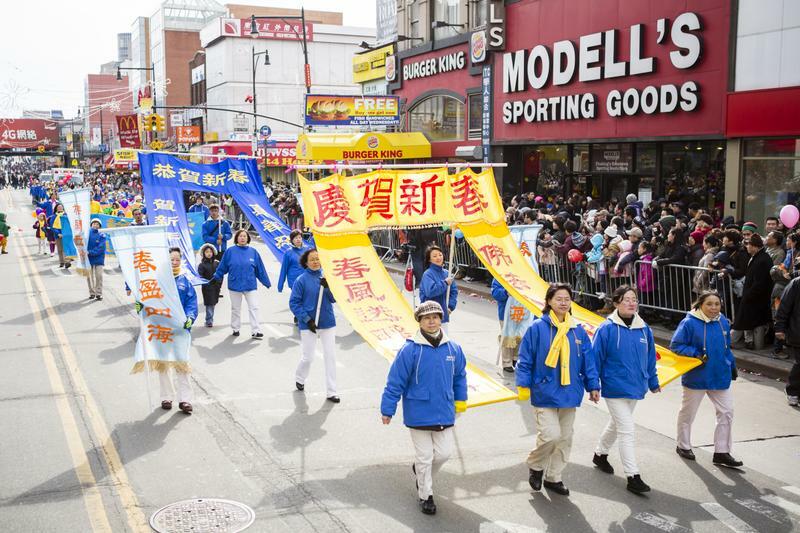 I noticed that the Falun Gong entry had more members this year,” a Chinese gentleman said.